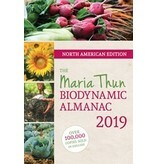 The 2018 Maria Thun biodynamic calendar, now in its 56th year, adapted for North American (Eastern Standard Time) dates and times. 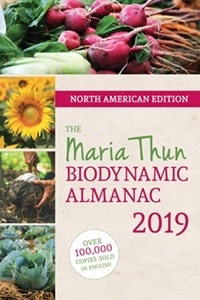 This useful guide shows the optimum days for sowing, pruning, and harvesting various plant-crops, as well as working with bees. It includes Thun's unique insights, which go above and beyond the standard information presented in some other lunar calendars. It is presented in colour with clear symbols and explanations. The calendar includes a pullout wallchart that can be pinned up in a barn, shed or greenhouse as a handy quick reference.